As contactless smart card technology becomes widely accepted in the market, integration of different components in a single device offers security and convenience sought after in many applications. The ACR1283L is a cost-effective and powerful contactless smart card reader designed to operate in standalone mode to cater to a wide range of contactless card applications. 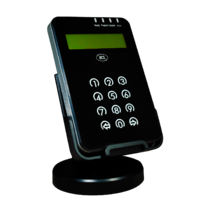 It comes with four built-in SAM slots, making it suitable for applications that have multiple card issues or different security requirements. 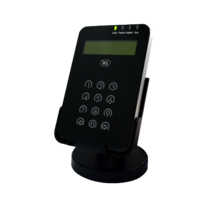 ACR1283L enriches user interaction with its two-line graphic LCD, four LEDs, buzzer to clearly display application and card operation status, and a twelve-key capacitive touch keypad for user input. In addition to its standalone operation, The ACR1283L also supports PC-linked operation for typical contactless PC/SC host applications. With its high-speed 32-bit MCU and strong antenna performance, ACR1283L is ready for highly secure and highly demanding applications where speed and security are essential, such as payment and government applications. An all-in-one, cost-effective and powerful terminal designed to provide greater flexibility and convenience, ACR1283L is the smart choice for your smart card applications!